If you remember, back in 2014 we've ever made a review of motorcycle that has a unique shape called Johammer J1 (Jump to the article). 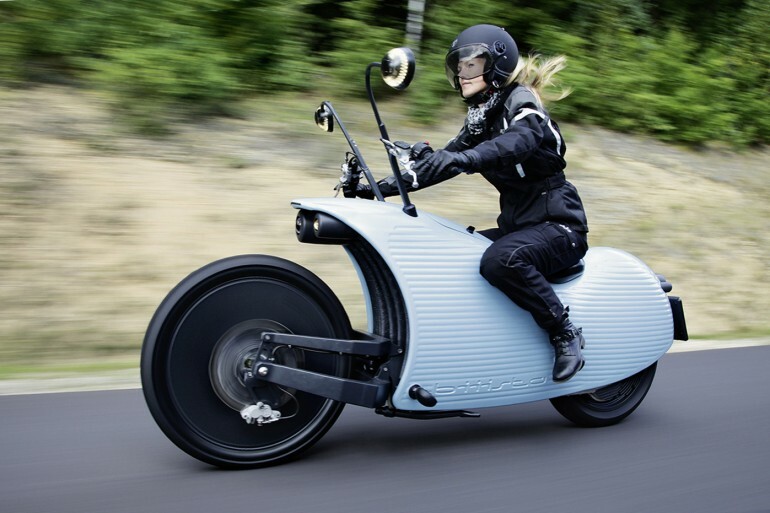 Yes, the existence of Johammer had successfully stomping the automotive world with a snail-shaped electric motorcycle and expected to be a pioneer of electric-powered motorcycle in the future. It turned out so far, the Austrian manufacturers is ready to produce the J1 electric motorcycle. Motorcycle has a unique snail-shaped and highly contradictory impressed with its performance, Johammer J1 designed by Leonie and Jean Marie Lawniczak. They are two designers at Yellow design studio, who have made the shape of Johammer J1 and the motorcycles were built in-house at its Leonfelden works just north of Linz, Austria. 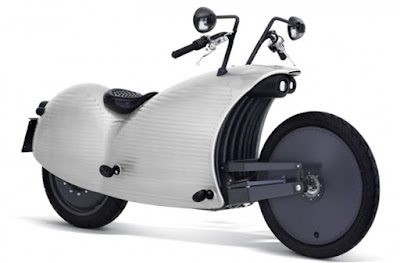 This bike is designed as a daily used motorcycle with semi-sport design due to the motorcycle tires looks pretty solid as well as the snail-shaped body aerodynamics. Then, its twin rearviews installed on the motorcycle were supporting the snail appearance on the Johammer J1. As quoted from Paultan, the motor, as is the lithium-ion battery pack, is air-cooled, and the entire electric motorcycle is encapsulated in 7 mm thick polypropylene made by an Italian company that specialises in modular plastic furniture. Johammer J1 is able to carry off their riders up to speed 120 km/h and its lithium ion battery will be full after two and a half hours charged. There are two models available, Johammer J1.150 provide a battery pack with the power capacity up to 8kWh, and then its range can reach 150 km while on a full battery charged. While Johammer J1.200 has a battery capacity up to 12.7 kWh and can reach distances up to 200 km while on a full battery charged.